In the sun which had just begun to decline, the blossoms of Yama-zakura were creating an exquisite mosaic in the quiet woody hillside of Arashi-yama. Eres muy afortunado/a si has visto todo esto...yo,y muchos como yo , ni en sueño...pero aun así, tenemos bastante jardines alrededor para alegrarnos la vista...!Me encanta que has subido! 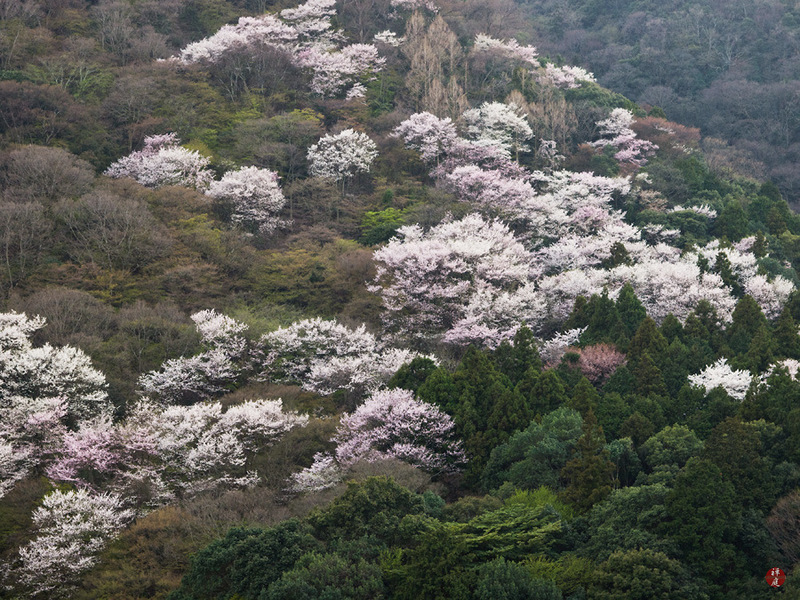 Arashi-yama is one of the most beautiful scenic places of Japan in all seasons. This scene was photographed from the garden of the Ookochi-sanso villa, which is also esteemed as a place of scenic beauty of Kyoto.